Newest Hi-Tech Effective Speed Bleaching is now available in our office with a very special low cost incentive price. Check our Whitening page for SINSATIONAL SMILE. We can now offer a non painful, simple non surgical therapy to reduce periodontal (gum) pockets with the addition of the SIRONA SIROlaser. Laser therapy has proven to be an exciting, painless, simple, inexpensive treatment to manage periodontal pockets. In our office we have found a significant decrease in disease and a return to a healthy mouth with just one SIROlaser treatment. Beside the SIRONA SIROlaser therapy we also use other simple conservative non surgical treatments to decrease the pocket depth. These treatment include locally placed antibiotics and antiseptics as well as special teeth cleaning. In recent years there has been increased importance given to improving gingival health as a significant correlation of gum health to heart and vascular disease has been reported in the medical and dental literature. 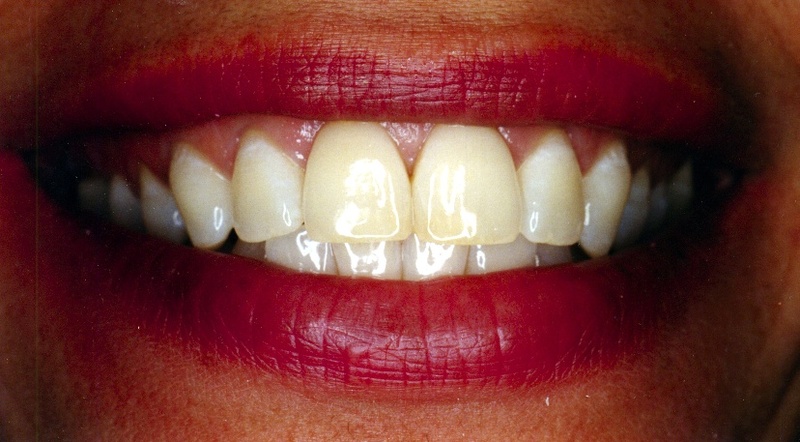 There is a simple new way to remove those white stains on teeth. MI PASTE a prescription cream is applied to the spots for 5 minutes twice a day after brushing and within a few weeks those unsightly blemishes will be decreased or gone. 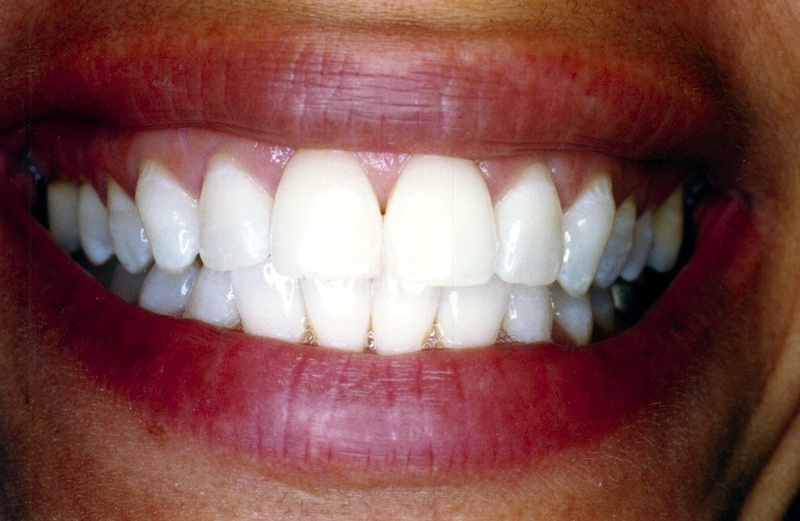 These white areas are due to decalcification often from orthodontic bands, mouth breathing or heredity. This new cream is also great for sensitive teeth. Our office can now accurately diagnose early decay and by doing so the fillings can be tiny, stronger and long lasting. The new device is called the DIAGNOdent, it's a special laser which can quantify the early changes we see in early decay. This machine will help us find the decay years earlier then if we have to wait for lots more visable destruction of the tooth. There is no charge for us to use this in our examination and by the way, it's totally painless. Watch your favorite TV show during treatment? OK, how about watching The Office, SNL Gilda Radner, National Geographic, Deadliest Catch, Concerts, or any other of 70 available videos on a personal wide screen device while haveing dental treatment. It sure helps pass the time and keeps you relaxed. We now have a special device called MyVue, a wide screen video screen embeded in a sunglass type eyeglasses and stereo sound. Ask us if you wish to use it. It's free and helps us as well because it's more relaxing for us to work on relaxed patients. New treatments for sensitive teeth? If you suffer from teeth that give you a sharp pain that lasts only a second when you drink something hot or cold there are new brush on products that can help.....one is a daily fluoride prescription mouthrinse or toothpaste (ENAMELON) that you do yourself at home, another is MI PASTE....... also we have an in-office brush on medication (GLUMA DESENSITIZER) that coats the sensitive part of the tooth, usually at the gumline, it works instantly, lasts for months and sometimes years and is inexpensive. A dry and burning mouth is a very real dental problem because it is produced by a shortage of saliva. Saliva is very important in preventing decay and cavities as well as keeping the soft tissue mucosa of the mouth and throat lubricated, smooth and healthy. Dry mouth can have many causes but the chief ones are as side effects of many medications,certain diseases such as diabetes, cancer therapy, and it is also a byproduct of normal ageing usually beginning anytime after 50 years of age. The good news is that there is a convenient treatment available in the pharmacies manufactured under the trade name of Biotene in the form of toothpaste, gum and mouthwash as well as a dry mouth gel. They work well and they may help moisten your mouth if you have this problem. Also, if you have a dry mouth problem, it is very important that you use a prescription dose of daily fluoride rinses, toothpaste or tablets.This fluoride will help prevent the decay and cavities that is caused by the decrease in tooth protecting saliva. These prescriptions as well as the rinses and tablets are available in our office.